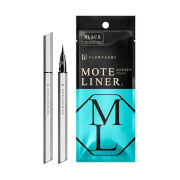 Application: Apply blinc just like a regular liquid eyeliner. It is important that you do not use moisturizers, foundations, etc... before applying the eyeliner. blinc requires a dry, clean surface in order to adhere properly to your skin. It will take blinc approximately 1 minute to set. Removal: When it's time to remove, blinc only requires a combination of lots of warm water and gentle pressure. Pressure alone is not enough, and water alone is not enough. But lots of warm water AND gentle pressure (i.e. 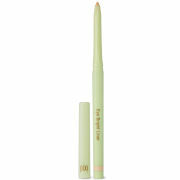 when taking a shower or when using a washcloth), will make the eyeliner effortlessly slide off. You will actually see the eyeliner layers come off into your hand. If you insist on using a makeup remover, you must use a water-base remover NOT an oil-based remover. Nothing oily can make blinc come off...not even if you have really oily skin. I use the matching mascara and it removes as easily as stated, just run water over your lashes. The eyeliner is exactly the same, together you won't get a better set of products for sensitive eye. Looks just as good as any other product such as Clarins or Chanel, which are 2 I have used etc, highly recommened.